Our development team is continuously working to improve the Blockpass app and ensure it offers the best experience and the most utility to its users. The Blockpass app is already at its seventh iteration since being released in mid-April this year – an update every few weeks, demonstrating the effort that is going in to providing the best identity solution possible. To this effect, version 1.7 (available now in app stores) offers some additional functionality to make using Blockpass more seamless and simple. The highlight of the additional features available in version 1.7 is the ability for users to share their identification documents in the Blockpass app via other apps stored on their phone such as E-Mail, Telegram, Whatsapp etc. This functionality will be familiar to anyone that has shared media or files through apps before. Simply push and hold the share icon in the upper righthand corner of the document screen and the menu will open up with different options on how to share it. By adding these sharing options, using Blockpass to prove who you are becomes faster and easier. Rather than having to trawl through files on a computer to find the document you need to share, it will be instantly and securely accessible through the Blockpass app. It also avoids the uncertainty as to whether the ID you find in an old file on your desktop is the most recent or still valid as the Blockpass app will have certified it and automatically shows the most up-to-date version. Similarly, a mobile-based, digital system is far easier to keep track of than physical documents that have been left in that ‘safe place’ which soon becomes ‘that safe place I can’t quite remember’. 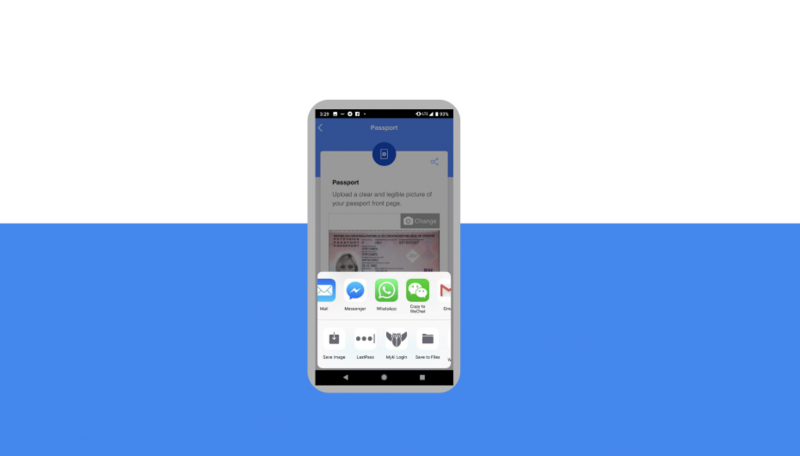 Additionally, storing and transporting identity documents in the Blockpass app is more convenient than alternatives as a mobile phone is much more portable and secure than folders of confidential documents – the documents will always be to-hand. Other additions to version 1.7 include an improvement to the notification system and the ability to archive certificates that are not being used. Notifications clearly show their status in a text-based and graphical representation and show the date the notification was issued. Archiving certificates prevents them from being attached for registrations but keeps a copy of them which can be viewed or reactivated at a later date. Whilst these features are important for users and usability, Blockpass is also continuously working on significant improvements that will be rolled out in the coming weeks and months, with substantial updates for merchants as well as the end-users are under development. The latest news and updates can be found on the various Blockpass social media sites such as Telegram, Twitter and Medium.